There are few destinations that truly have something for everyone. At Journy, one of the most frequent questions we get is... what destination is great for someone who loves culture, cuisine AND nature? 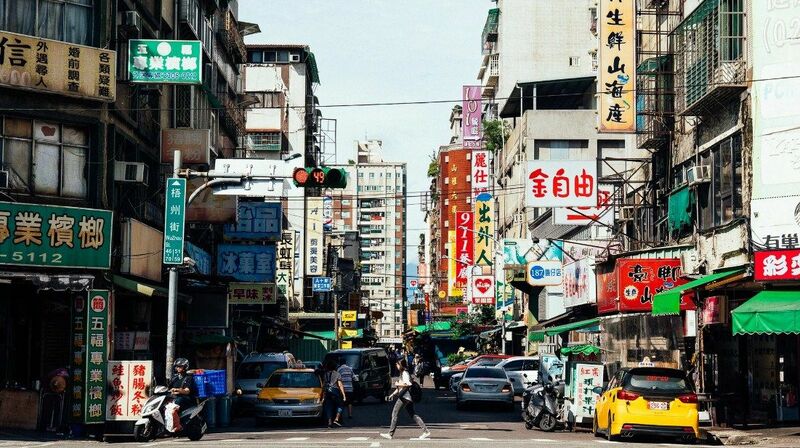 Here, you get the hustle and bustle of Taipei, where every trip starts and ends. 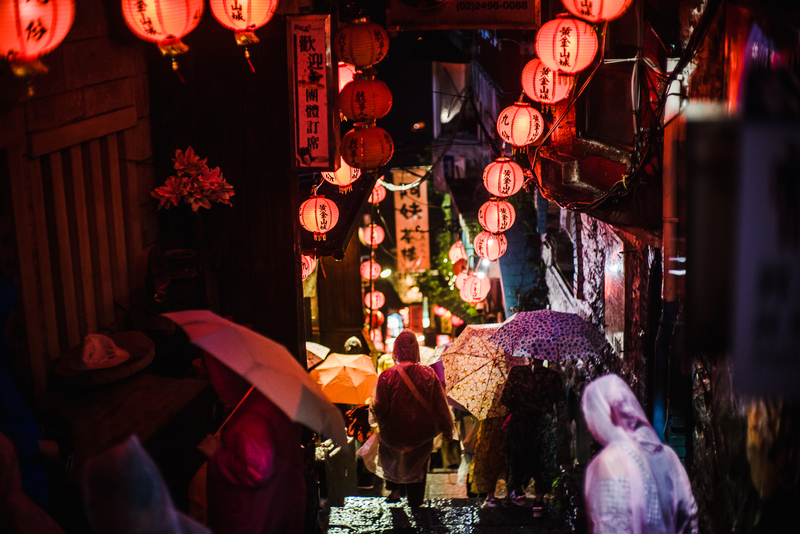 Just outside of Taipei are the charming old towns of Shifen and Jiufen—a perfect step back in time for a day, as well as the hot springs of Beitou. Then you have the stunning greenery, mountains and beaches in Hualien County at Taroko Gorge National Park. For men, women and families alike! Depending on where you’re traveling from, you can find flights as low as $500 round-trip (more on that below). Not only is there an extensive system of trains connecting all major cities across the east and west coast of the island, but there’s also a high speed rail, reliable urban bus system, smaller tourist shuttle busses, metro systems in Taipei and Kaohsiung, taxis and Ubers in all Taiwan cities, ferries from the mainland to smaller islands and even a public bike sharing program with hubs close to metro stations and popular tourist destinations. Experience the street food, modern dining scene, world-class cocktails, vibrant nightlife and ren qin of the locals. 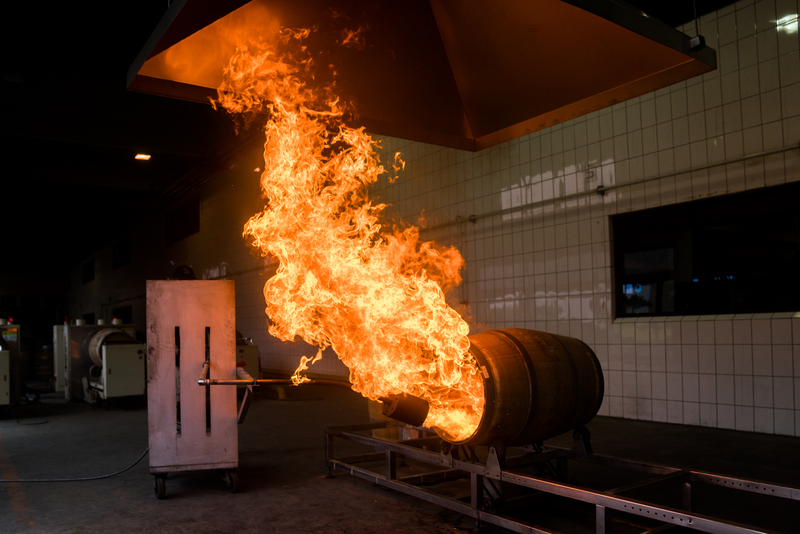 Whisky buffs will want to take a detour to the award-winning Kavalan Distillery and pair it with a lunch of cherry-smoked duck at Red Lantern Restaurant. Dedicated food-lovers will want to add a few days to their trip to head to Taichung (home to what may be the world’s finest bowl of beef noodle soup as well as a caviar farm and restaurant) before continuing on to Tainan, the heart of Taiwan’s street food culture. We at Journy are here to steer you to all the best experiences, many of which we shared with our friends Andrew Zimmern, Dave Krugman, Emily Fedner and Megan McDonough. While you can access Andrew Zimmern’s itinerary here and Dave and Emily’s here, we suspect you’ll want a more relaxed pace for your eating and drinking compared to these professionals. Below is a general overview of how you should plan your ultimate Taiwan trip. But keep in mind that everyone’s tastes, preferences and priorities are different when traveling—which is why Journy custom-builds itineraries for everyone. Planning a trip? Consult with our team and we’ll take care of everything. 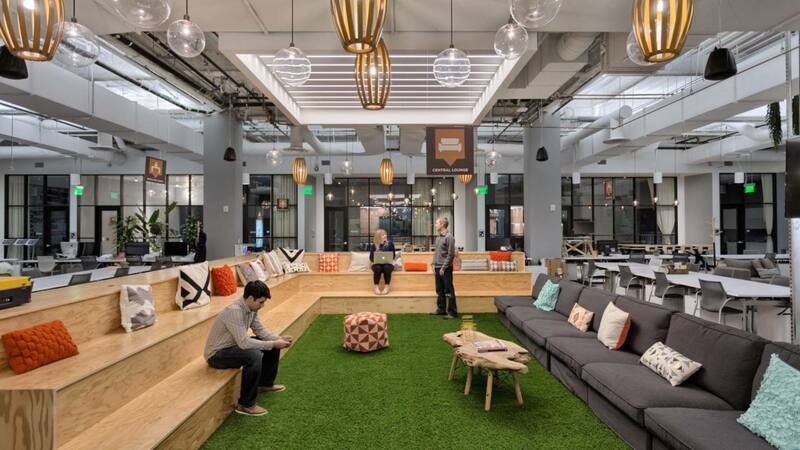 For those traveling from Seattle, San Francisco, Los Angeles or NYC, you’re in luck. China Airlines and EVA Air both operate nonstop direct flights. For those in Los Angeles, the newest route out of Ontario Airport on China Airlines will save you from the traffic of a drive to LAX. Direct flights from NYC to Taipei can be easily found for under $900 roundtrip, while flights out of San Francisco, Los Angeles and Ontario, California are consistently under $800. Seattle flights are a bit pricier at just under $1000. Flight times for direct routes range from 13-14 hours for West Coast flights to 16 hours for flights from NYC. If you’re willing to deal with a stopover, the flight prices drop significantly. Flights with a stop from NYC add about seven hours to total transit time, but can be found for about $700, while flights with a stop from the West Coast similarly add seven-eight hours to total transit time, but can be found for under $500, translating to about $300 in savings. Those traveling to other major Asian cities such as Tokyo, Hong Kong, Singapore, Beijing or Shanghai may want to check for flights routing through Taipei as fares can be much lower. Plus, we’re confident that you’ll want to purposely schedule a detour to Taipei, just as Andrew Zimmern is doing for his next trip to Tokyo. If you have a U.S. passport, you can visit Taiwan without a visa for up to 90 days. You’ll want to make sure your passport is valid for at least six months (if you’re Japanese, they allow entry with only three months validity), and be able to show that you have a departing flight or cruise. On top of that, you should also be in good standing in Taiwan (read: you don’t have a criminal record). Other countries eligible for a 90-day visa-free stay in Taiwan include passport holders of these countries: Canada, the United Kingdom, Australia, New Zealand, Japan, South Korea, all EU countries (Germany, France, Austria, Belgium, Bulgaria, Croatia, Cyprus, Czech Republic, Denmark, Estonia, Finland, Greece, Hungary, Iceland, Ireland, Italy, Latvia, Lithuania, Luxembourg, Malta, the Netherlands, Poland, Portugal, Romania, Slovakia, Slovenia, Spain, Sweden), Andorra, San Marino, Monaco, Norway, Liechtenstein, Switzerland, Vatican City State, Israel, Chile, El Salvador, Haiti, Honduras, Nicaragua, Paraguay. For more on visa policies and info on applying for an eVisa online, visit the Bureau of Consular Affairs’ site. If you happen to be between the ages of 18 and 35, and hold a passport from one of these countries (Austria, Hungary, Poland, Slovakia, South Korea, New Zealand, Australia, Belgium, Canada, Ireland, UK, Germany), you can apply for a working holiday visa for up to one year. When Should I Plan On Visiting? As a tropical destination, Taiwan is suitable for travelers all year round. 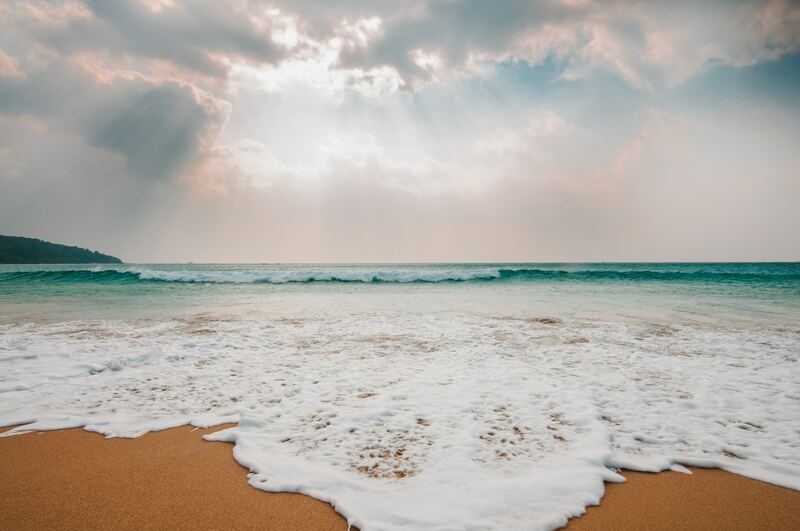 Although it’s only 250 miles from Keelung City (famous for its late-night fish market) in the north to Kenting in the south (you’ll want to go there for beaches), there are dramatic differences in climate. There are two main weather systems that may affect your travels and how you choose where to go. Between June and October you have typhoon season which affects southern Taiwan (around Kenting National Park) through central Taiwan (around Taichung). Then from October to March you have the north east monsoon, which mainly affects the coastal area of Keelung to the northeastern coast of the island including Yilan and Hualien (don’t worry, we’ll explain what all these places are below). Our own team was in Taiwan in October and indeed it was rainy in these areas, but once we drove south to Taichung, it was nothing but sunny blue skies. Here’s a breakdown of what the weather is like in each season and area of Taiwan. The summer months are not only when temperatures are highest, averaging around 90 degrees Fahrenheit, but it’s also when Taiwan experiences its peak tourist season. That means pricier hotels (rates for hotels are about 20% higher) and more tourists at popular attractions. For those who wither in hot weather, summertime in Taipei is probably NOT ideal. 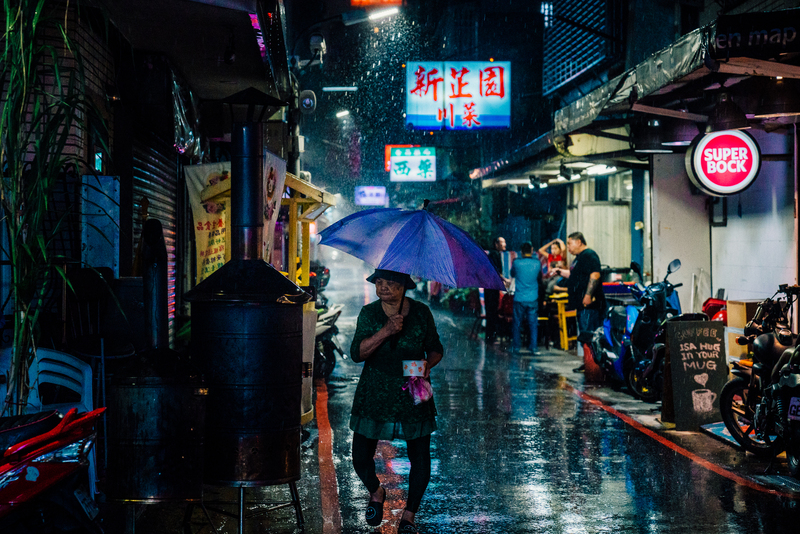 This period is also typhoon season, which stretches between June and October—with the heaviest rains in June primarily affecting the southern and central mountains of Taiwan. 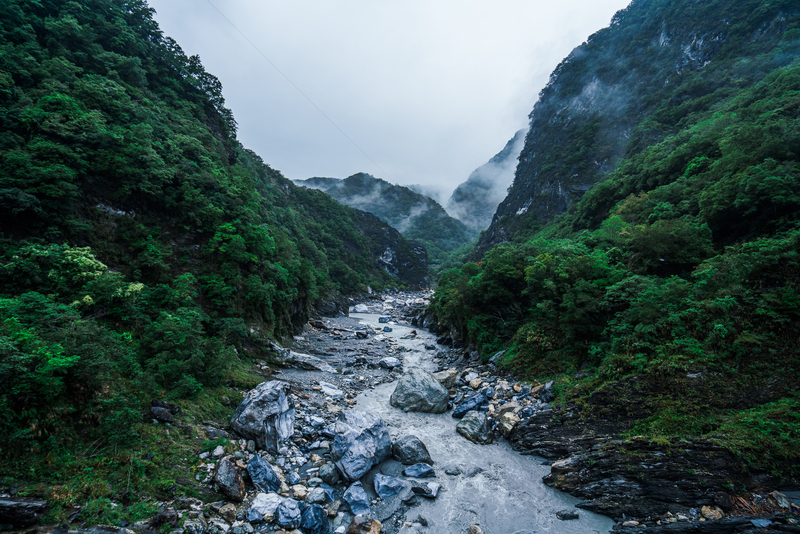 Summer is a perfect time to spend in the northeast in Hualien County hiking through the cool mountain areas of Taroko Gorge which, due to the elevation and location, are protected from the heat and unaffected by the southern typhoon. As a tropical/sub-tropical island, Taiwan doesn’t really get cold. Lows in this time period average just below 60 degrees Fahrenheit. While Taipei will be at a comfortable temperature, this is also when Keelung City and the north will be wet and stormy. 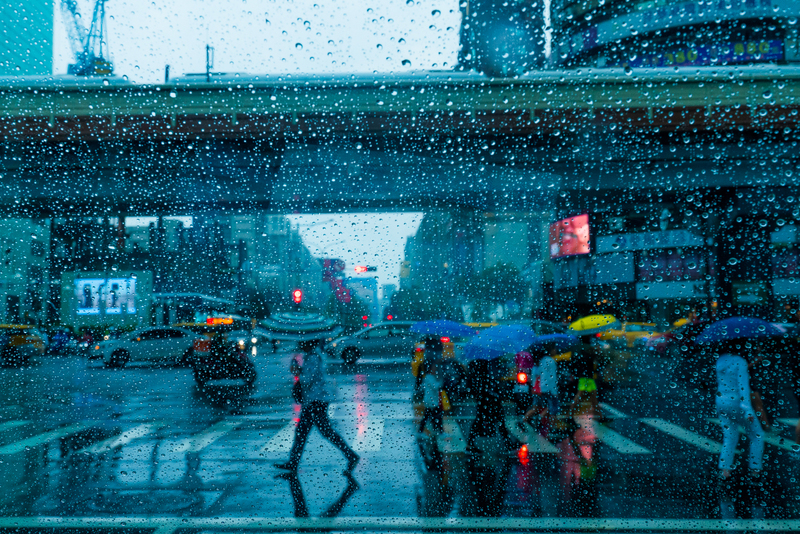 While there will likely be times when you’ll get caught in the rain, the benefit of traveling during this time is that it is the low tourist season. That means lower hotel rates, cheaper flights and fewer crowds. These winter months are a great time to visit Beitou to enjoy hot springs, or head to the southern areas to visit the stunning beaches in Kenting National Park—where even in winter, the highs are around 75 degrees Fahrenheit, with lows of 68 degrees Fahrenheit. The fall season is when the weather is great everywhere. The southern areas will be warm, but the north begins to cool down. There’s almost no rainfall between central to southern Taiwan, where it’s sunny and clear in the fall. In the Northeast, however, you do have the monsoon season starting in October. 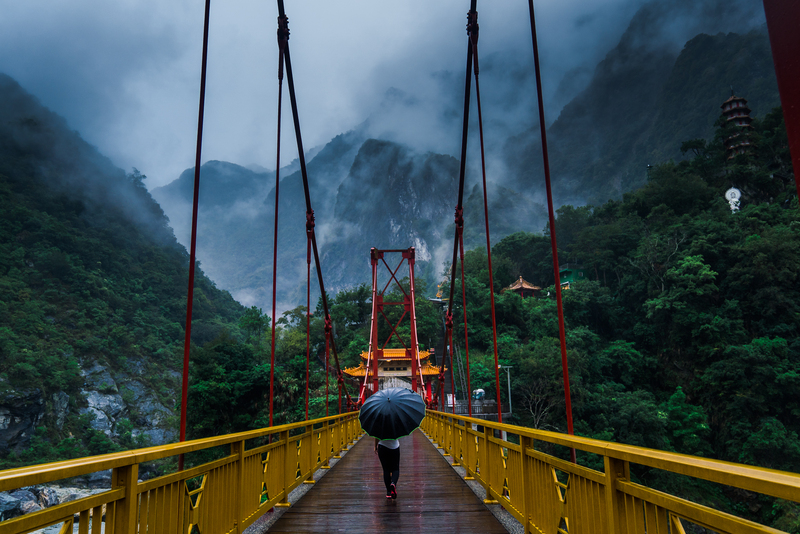 Our team visited Taiwan during this month and still had a wonderful time, though it was a little wet and rainy while we explored the areas of Keelung, Hualien, Taroko Gorge and Yilan, which meant we had to wear rain parkas. 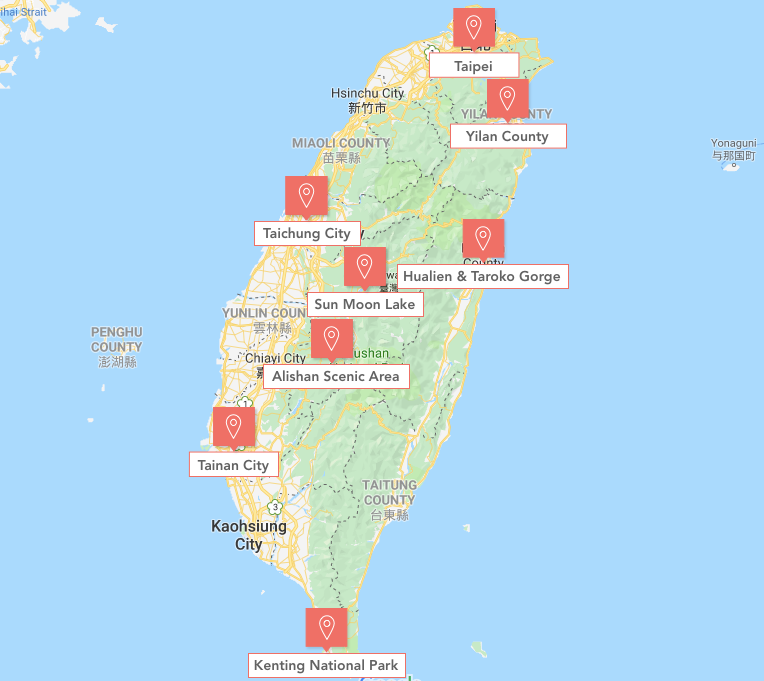 In September, you can visit anywhere in Taiwan without concern for rain, but in October and November you may want to consider spending your time outside of Taipei in central and southern Taiwan. It’s a perfect time to visit Sun Moon Lake in the Central Mountain Range, Taichung and Tainan. These are the two months of the year when Taiwan isn’t affected by a typhoon in the northeast or monsoon in the southwest. There will inevitably be a little rainfall, but that’s nothing to change your plans over. In the spring, the weather is warm but not as hot and humid as the summer. Plus, rates are lower than peak summer season, and there aren’t as many tourists. If you’re aiming to put together a longer 10-14 day trip to explore all of Taiwan, be sure to plan it within these two months. Note that towards the end of May into June, the rain will start to increase so try to plan your trip a little earlier if you want to avoid it. How Long Should I Plan To Spend In Taiwan? Depends! We’ve outlined a few different options depending on how much time you can spare. All first-time visitors should spend a minimum of three days, and then depending on your interests and how much time you have, you can choose to add on additional days to explore other parts of Taiwan. The great part about the island is that there is so much to eat, see and do in such a small area (it’s heaven for bicyclists! )—so you get pack in a lot in a relatively short amount of time; however, you may end up not wanting to leave. To get a fair taste of what Taiwan has to offer, you’ll want to spend at least three days exploring—two of those days should be dedicated to Taipei, while one day should be spent on an excursion to Shifen and Jiufen (plan to spend all three nights in Taipei since Shifen and Jiufen are just an hour’s drive away and don’t have many options for hotels). Of your two days in Taipei, you’ll want to optimize for a combination of sightseeing and eating. There are two airports in Taipei. The majority of travelers will likely fly into Taoyuan International Airport (TPE), which is the main international hub and located about 25 miles west of Taipei. When landing at TPE, you can easily get a taxi from one of the taxi stands in the arrivals area. You pay a flat rate by credit card (our team opted for a large van that fit six-seven passengers, which was a flat rate of 2145 NT or about $70 USD), and you’ll be handed a pre-paid slip to give to the driver. No tipping needed. Taipei also has Uber, and a standard Sedan will cost about $35-$40 to get into the city (once you’re in the city, rides will generally cost you just $3-$6). If you’d like to pre-book a car, Journy can help arrange one for about the same price of an Uber or less. The drive by car will generally take 40-60 minutes depending on traffic and what part of Taipei you’re going to. The fastest way to get to the city though is via the MRT (Mass Rapid Transit). This is Taiwan’s largest metro / subway system, and it’s incredibly fast, efficient and clean. There are stations from both terminals one and two, and the trains operate from 6AM to 12AM and come every five minutes (if you have an early flight, you’ll want to take a taxi or Uber). On the MRT, it takes just 35 minutes to get to downtown. Keep in mind that you’ll need to pay cash at a ticket machine or booth to get a ticket. Tickets are 160 NT one way (a little over $5 USD), making it not only the fastest, but also the cheapest way to get to the city. If you plan on taking the MRT throughout your stay, it’s worth investing in a Taipei Pass, which you can purchase at the customer service counter in every MRT station, or online. Prices range from 180 NT for a one-day pass to 700 NT for a five-day pass. Note that once you activate the card, it will expire after the set number of days whether you use the pass or not. If you anticipate leaving Taipei or not needing the pass for some days, it might be better for you to get an EasyCard instead, which you can top up with money and use as you go. There is an EasyCard app in the App Store and Play Store, but we’re assuming you don’t all read Chinese so purchasing at a customer service counter will be the way to go. Another option to get an EasyCard would be to purchase a Classic Taiwan FunPass. These include entrance to Taipei 101’s observatory deck and the National Palace museum. They cost 950 NT (entry individually to these attractions will also cost you 950 NT), but because they can also be used as EasyCards, there’s no additional card deposit to pay. For those who are flying into Songshan Airport, which primarily serves domestic and regional flights to South Korea, Japan and Mainland China, a taxi will run you no more than 300 NT—and you can take the brown line on the MRT to get to and from downtown. Taiwan’s currency is the New Taiwan Dollar (commonly abbreviated as “NT”). The exchange rate is usually $1 USD to 30 NT (every 100 NT is a little over $3). There are ATMs when you arrive at the airport, and in all 7-11s and FamilyMarts. However, for foreign cards you can expect most ATM machines to charge a 100 NT convenience fee. Depending on your bank, these fees may be reimbursed. While most hotels and nicer restaurants take credit cards, smaller establishments and street food vendors do not and are cash only (some will have LINE pay, but you’d need a local bank account to set this up on your phone). While traveling through Taiwan, we once ran into an issue paying with a Chase Sapphire card at a 7-11, but quickly realized that all 7-11s take Apple Pay, which solved the issue. As a precaution, you may want to bring some cash in USD to exchange at your hotel in case you have trouble taking money out of ATMs with your debit card. To get the best rates, the big local banks (Bank of Taiwan, China Trust Bank and South China Commercial Bank) are the way to go. Malls also offer currency exchange kiosks with longer operating hours than the banks. Just remember to bring your passport as it’s required for any currency exchange transactions. Depending on what you’re interested in, there’s a number of great neighborhood choices. Those who want more of a city feel will want to stay in Songshan, in and around the famous Taipei 101 building. The W Taipei, Grand Hyatt Taipei and Humble House are all excellent options in this area, which is also home to more established and upscale boutique hotels. If you prefer to be in an area that’s full of hidden gem restaurants and cocktail bars, there’s no better place than Da’an. You’ll be close to the original Din Tai Fung on Xinyi Road, as well as newly-crowned Michelin-starred spots like Mume, Longtail and Gen Creative—along with industry watering holes like Draftland and AHA Saloon. The highest end property in this area is the Shangri-La hotel, and there are a number of more affordable boutique options as well such as the Eclat Hotel, also a 5-star property. 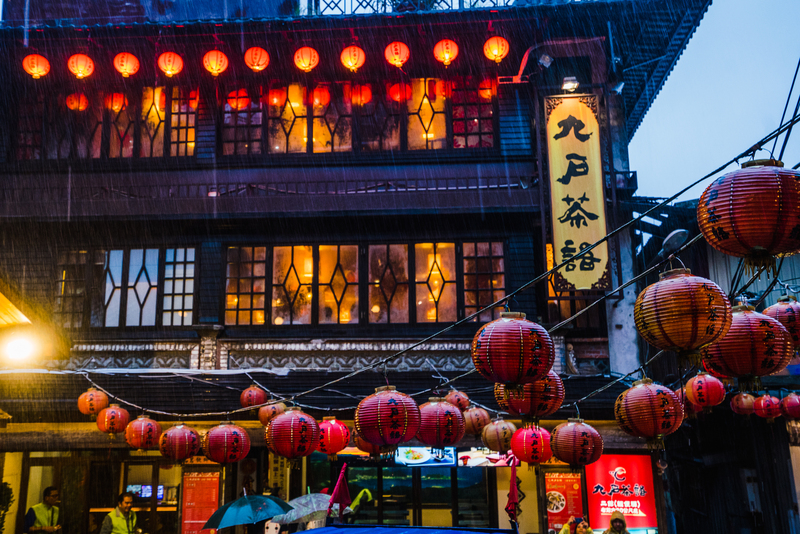 If you’re looking for a balance of old and new, consider the Ximending district. It’s home to modern glitzy shops, as well as little alleyways that will remind you of those in Tokyo’s Harajuku. Near Ximending is also the local’s favorite Ningxia Night Market and old streets filled with traditional restaurants. Nearby you’ll also find Lungshan Temple and Bopiliao Historical Block, an area with traditional 18th century architecture. The best option here is the Palais de Chine, which is also home to Taipei’s only 3-star Michelin Restaurant. It’s also where the Journy team chose to stay during our time in Taiwan. 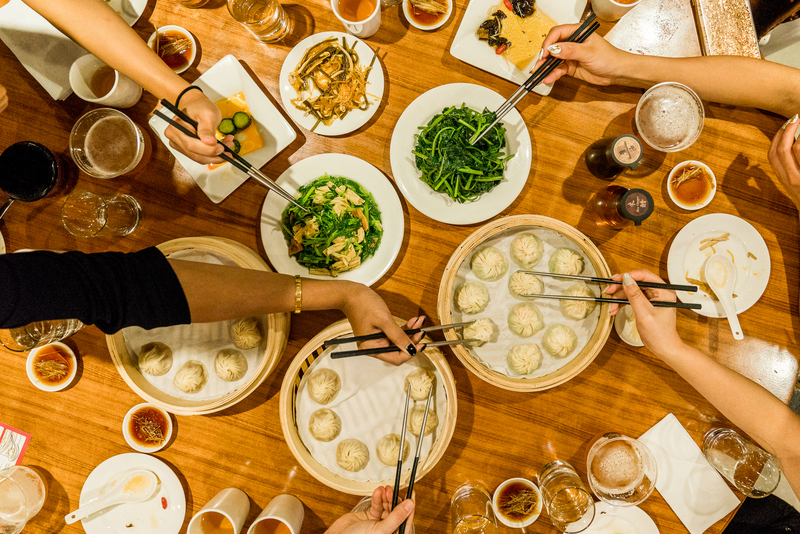 The first thing we like to do when we touch down is head straight for the soup dumplings. 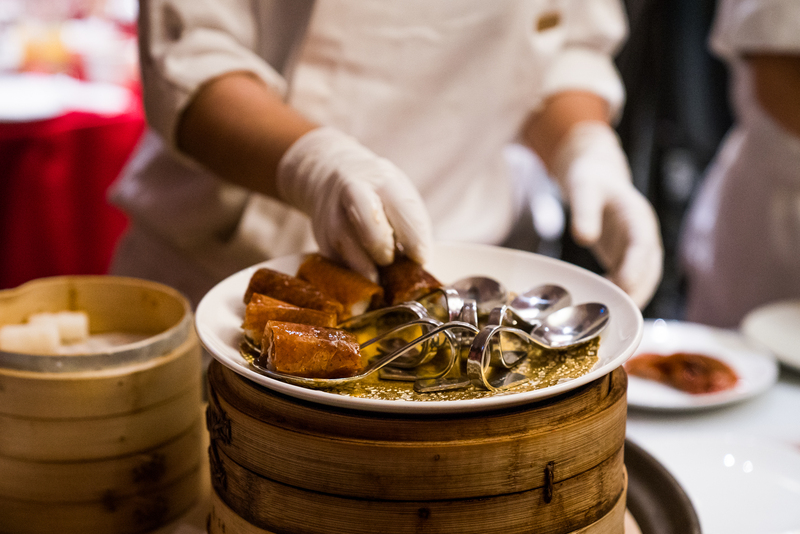 The original Din Tai Fung is in Taipei, and it’s the restaurant that put the city’s dining scene on the map when, in 1993, the New York Times declared it one of the ten best restaurants in the world. 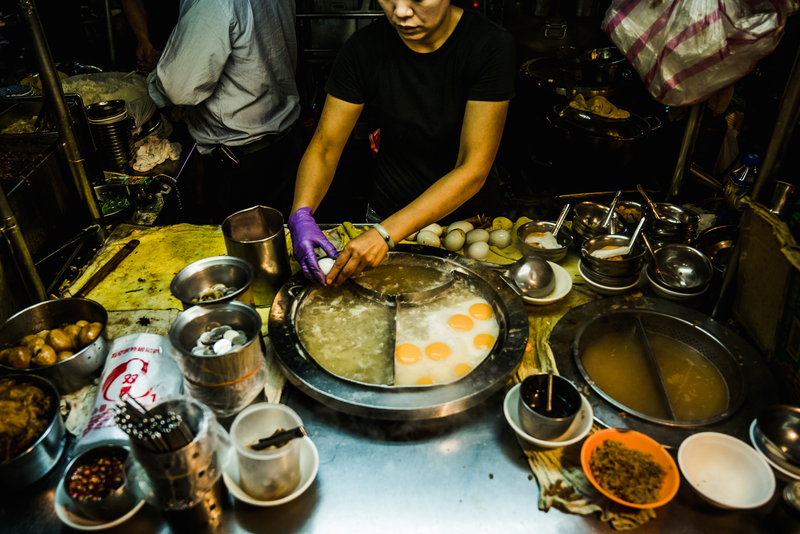 The street food scene is Taiwan is legendary. 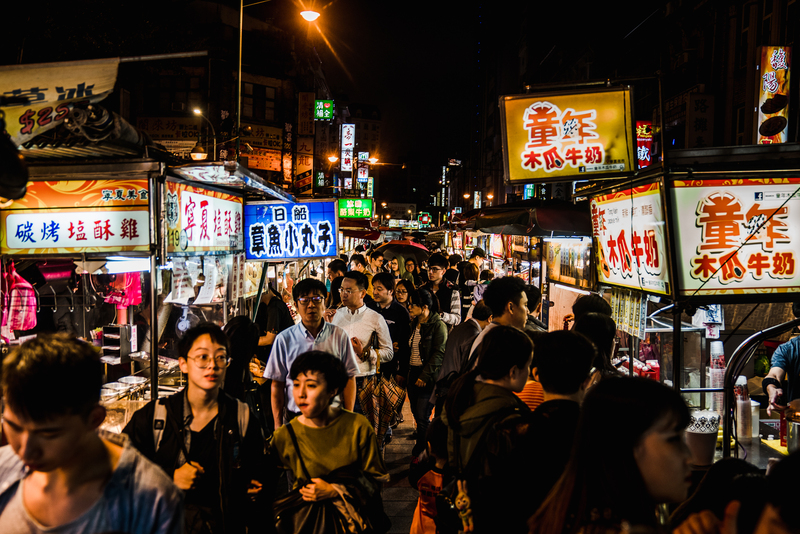 The people are food-obsessed, eating all day and night long—just pay a visit to one of Taiwan’s bustling night markets if you want to taste it for yourself. Check out our piece on street food in Taipei for a list of must-try foods, which range from stinky tofu and oyster omelettes to lu rou fan (braised minced pork belly over rice) and shaved ice and bubble tea. If you have time to visit only one night market, make it Ningxia Night Market. It’s one of the oldest with the most authentic food options where the locals go. It also happens to be the most centrally located. If you have more time, visit Raohe Night Market—but know that the best food options are in the alleyways off the main market. Another option is Shilin Night Market, which reopened in a new location indoors in 2011. It’s the biggest night market in Taipei, but of course many feel it’s just not the same now that it has moved indoors and many of the original vendors have changed. If you love ramen, make sure you taste the veritable national dish, Taiwanese braised beef noodle soup, which has a hotly debated origin. The Michelin rating just landed in Taiwan in March 2018, giving long overdue recognition to the street food scene. 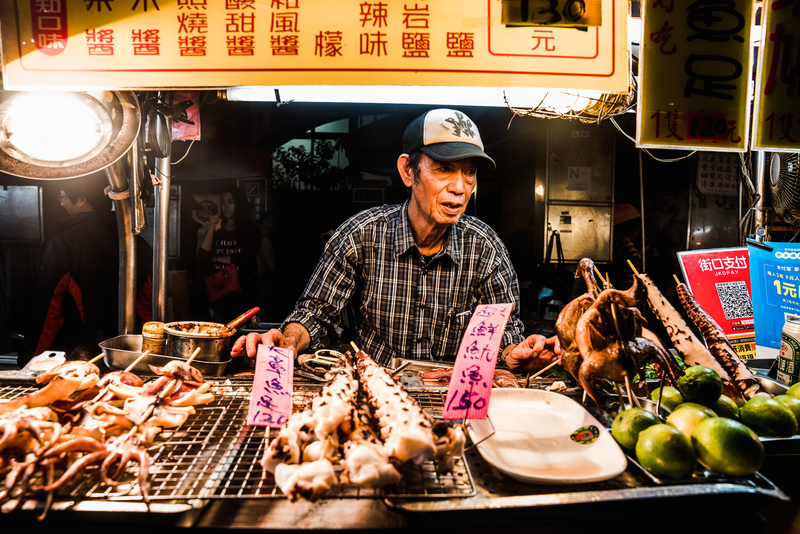 Once you get a feel for the fine dining options in Taiwan, your Journy trip designer can help you arrange your ideal dining itinerary (complete with recommended route to walk off the meal!) and make reservations for you, too. You’ll also want to take advantage of the incredible seafood Taiwan has to offer. The adventurous will want to head to Kanziding Fish Market in Keelung City, which is also where we brought chef Andrew Zimmern after his meal at MUME with chef Rich Ard. The market opens at 1AM, and the real action is at 3AM when local fishmongers and chefs conduct the day’s business. Throughout the market you’ll find stalls serving up super fresh sushi for a steal. The market is a 45-minute drive outside of Taipei and only open when the MRT isn’t running. Your Journy concierge can arrange a driver and a local guide to help you navigate this area. 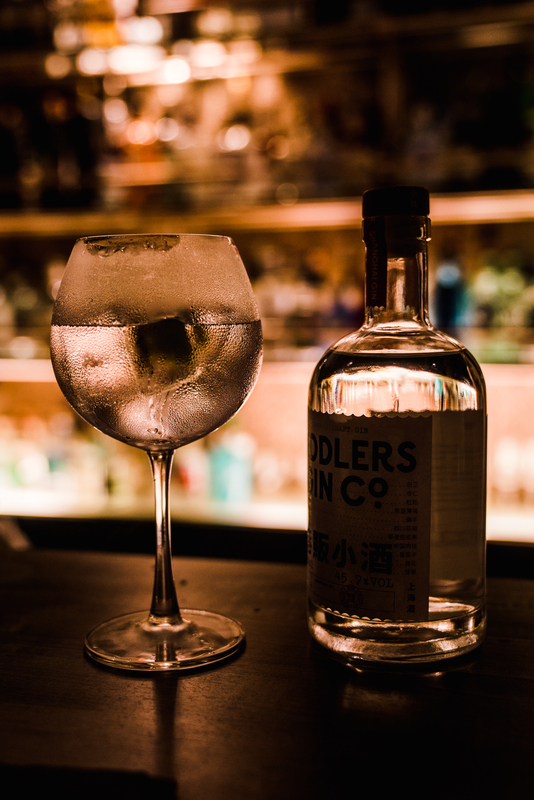 As we alluded to earlier, the cocktail scene in Taipei is one of the best in the world. 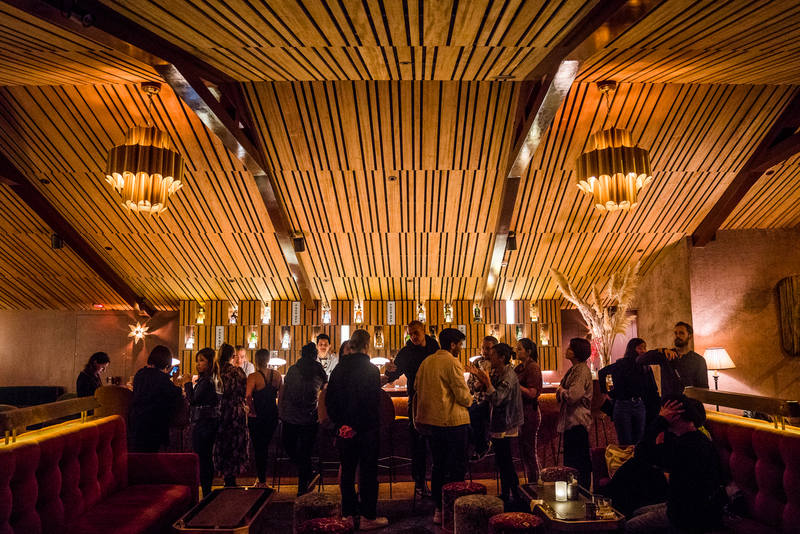 If you love speakeasy concepts, this town has bars hidden in alleyways (Pun), behind bookshelves in barber shops (Mozi) and hidden inside bars (Sidebar). There are also those that require a member’s keycard to access (Staff Only), as well as rooftop cocktail bars with views of Taipei 101 (Frank). Some of these spots require advance reservation for seamless entry. If cocktails are your thing, let us know when you request your Journy for Taipei and we’ll make sure you’re set up like a VIP. More accessible from downtown Taipei is Addiction Aquatic, a verifiable seafood theme park. 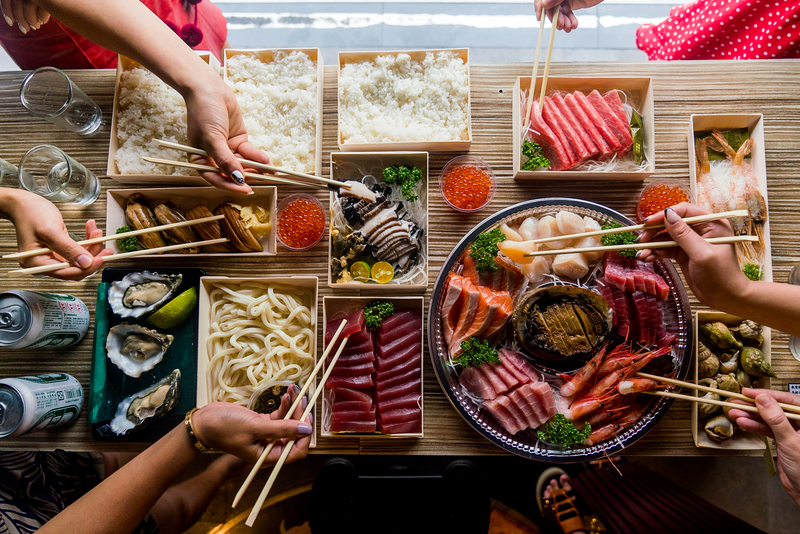 There, you’ll find tanks of king crab, abalone, clams, scallops and a supermarket with platters of sushi and sashimi, standing bars for sake, live shrimp and live abalone galore. Head here in the morning for breakfast when the market is quieter. Be sure to leave some time to explore the outer edges of the market where you’ll find vegetable and fruit vendors selling produce you have likely never seen at home before. There’s a few attractions that should be on everyone’s bucket list in Taipei. The first is, of course, Taipei 101—we usually skip the observatory tower in favor of dining at a restaurant in the complex. A short walk from Taipei 101 is Elephant Mountain. 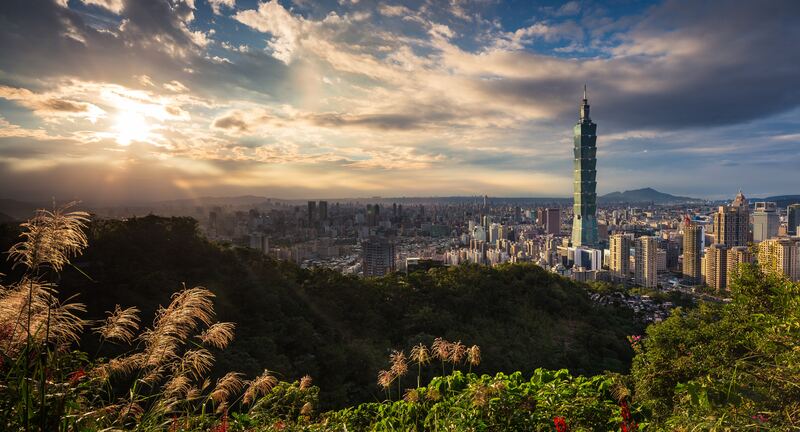 It’s an easy 20-minute hike to the top for a beautiful view of Taipei 101 and downtown at sunrise or sunset. History lovers will want to head to the National Palace Museum. It houses many Chinese Imperial treasures that you won’t find even in mainland China (during the Chinese Civil War, the original National Palace Museum in Beijing decided to send some of its most prized works to Taiwan). Its collection spans 8,000 years of Chinese history and includes 700,000+ pieces of artifacts and artworks. Modern art lovers will want to explore the galleries housed in the Huashan 1914 Creative Park and the Songshan Cultural and Creative Park. Huashan Creative Park is housed in a space that used to be a winery. Inside there are multiple exhibition spaces, shops and cafes. Songshan Cultural and Creative Park is even larger than Huashan and housed in a former tobacco factory. 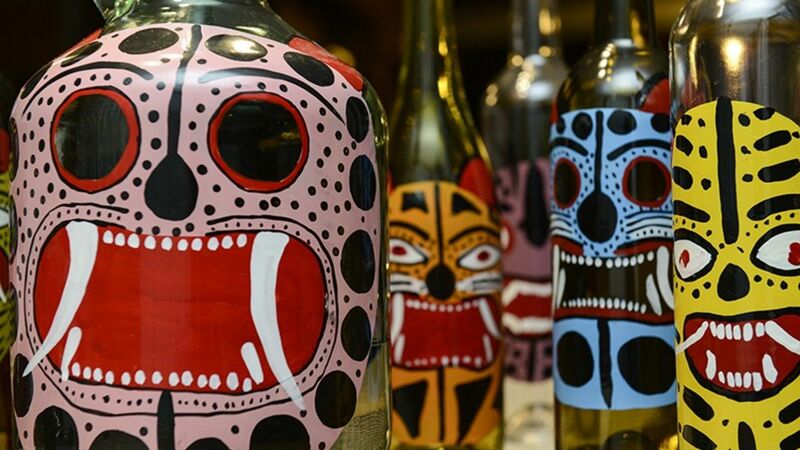 If you’re interested in shopping for locally-produced wares, you’ll want to make a stop here. 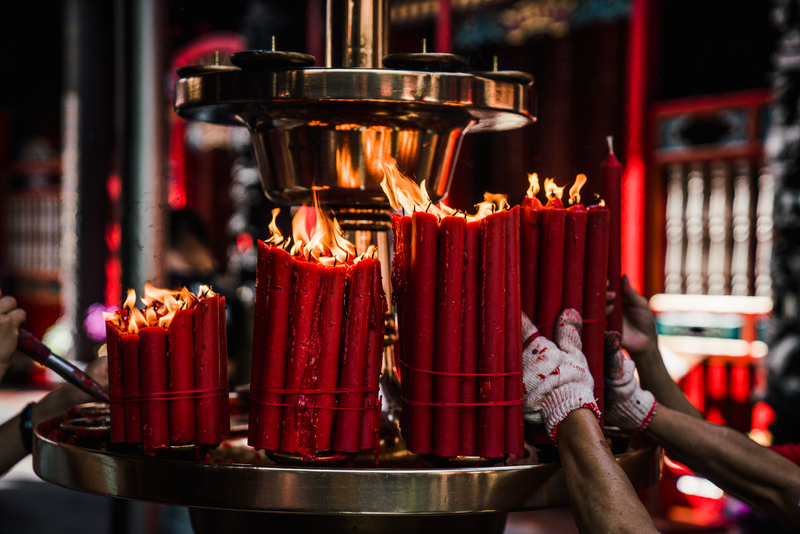 Other must-dos in Taipei include visiting Lungshan Temple and Bopiliao Historical block, as well as going on a photo journey through Ximending (follow photographer Dave Krugman’s steps). Taiwan also produces some of the best high mountain oolong teas in the world, so tea lovers will want to head to any number of the traditional and modern tea houses in this town. Cafe culture in Taipei is very serious as a favorite past-time of locals on the weekends is relaxing in a hip modern cafe while catching up with friends. With all the eating and drinking to do, you’ll need two full days just for Taipei, and then you’ll want to save a day to visit the old towns of Shifen and Jiufen. We like visiting Shifen first and then heading to Jiufen at night when the town is lit up with red lanterns. Shifen is a short 35-minute drive from Taipei, or an hour and a half train and bus ride. Once you get there, head first to the Shifen Waterfall (if you took the train and bus, then you’ll start at Shifen Old Street instead)—the broadest and widely considered to be the most scenic in all of Taiwan. It’s about a 30-minute walk from there to Shifen Old Street, a railway town originally built for transporting coal. Today, you’ll see visitors light and release paper lanterns along the tracks which run through the center of the town. The lanterns were traditionally used as a signal system to alert people when the train was coming. 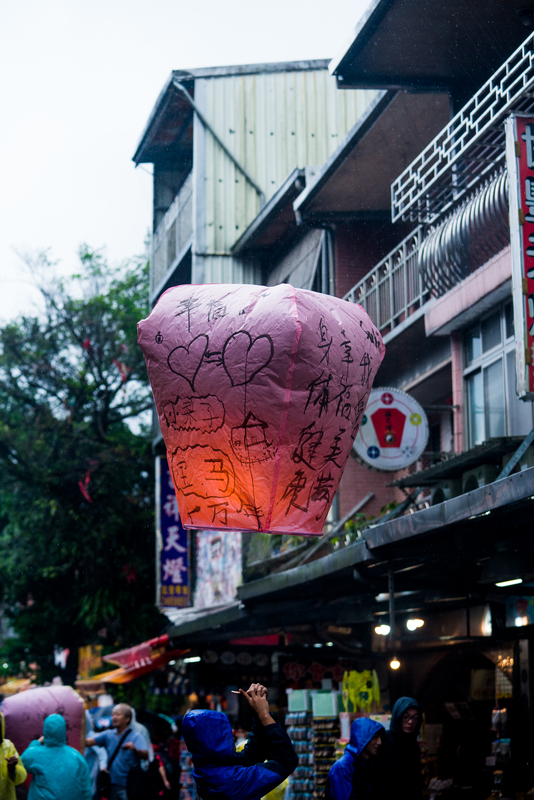 Now, you can purchase a lantern (different colors symbolize different wishes such as health, longevity, wealth and even “popularity” or “good studies”), write a message on it and release it into the sky. From there, head to Jiufen Old Street—it’s another 40-minute drive or hour and ten-minute bus ride from Shifen. 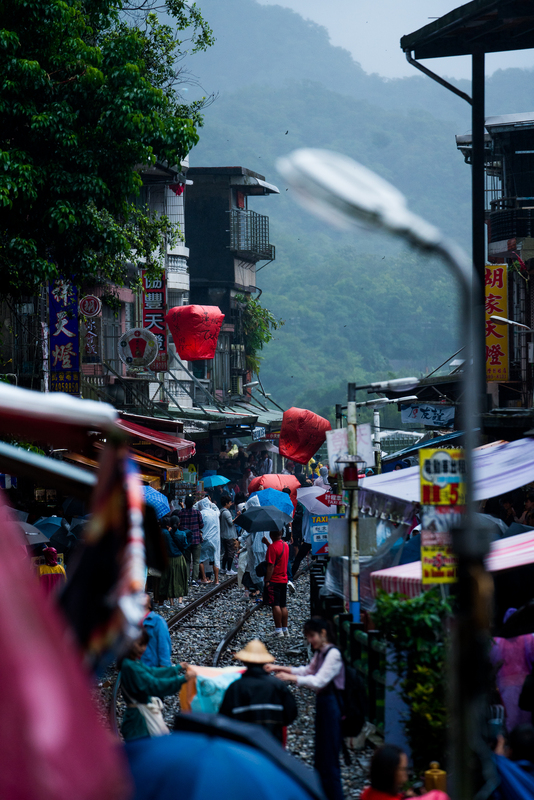 Jiufen is an old mountain mining town filled with narrow alleyways, tea houses and street stalls. The architecture may remind you of the Japanese animated film, Spirited Away, though the director insists that Jiufen was not the inspiration for the backdrop of the film. 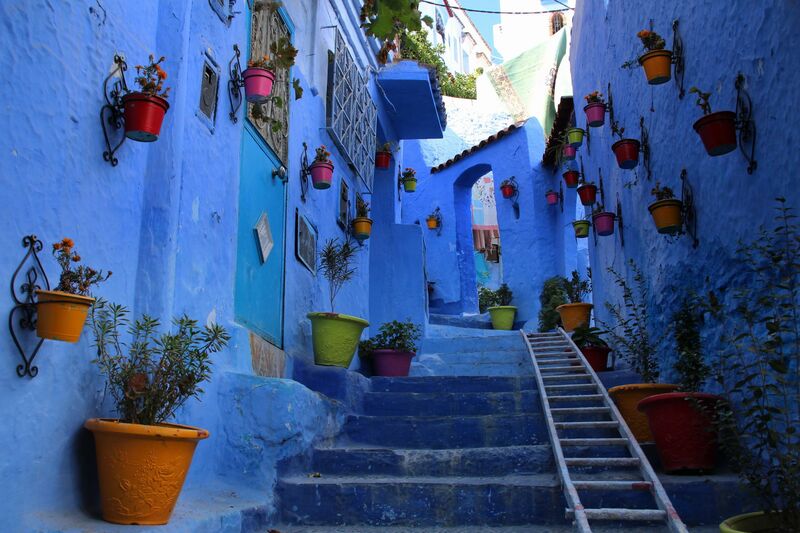 Once you get there, climb the stairs towards the top and pop into a tea house for a snack and some tea. 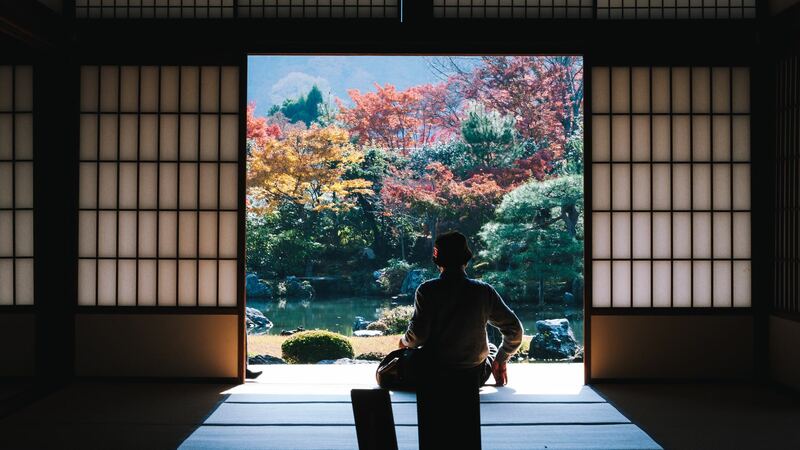 Some of the tea houses get quite crowded, and many offer stunning views—look for a tea house called “Taro Potato House” hidden through a cave with fewer tourists. While many guests will head back to Taipei in the evening, you can also decide to spend the night at a local B&B (minsu) in Jiufen. There are not many options, so be sure to book well in advance—especially during peak tourist seasons. While in Jiufen, you’ll want to look for Ah Zhu Peanut Ice Cream, which serves a peanut ice cream roll. It’s basically a peanut ice cream burrito, and it’s delicious. If you have more time to spend in Taiwan, you might consider any of these additions. There are plenty of hot spring spas in Beitou similar to the onsen spas that you’d find in Japan. While you can certainly spend the night at one, it’s a short 20-minute cab ride to Beitou district where you can pay a day rate to enjoy hot springs and have a great lunch. Have more time to spend? Explore the rest with Taiwan with any (or all) of these options below. If you want to visit Hualien County, you’ll want to spend the night. 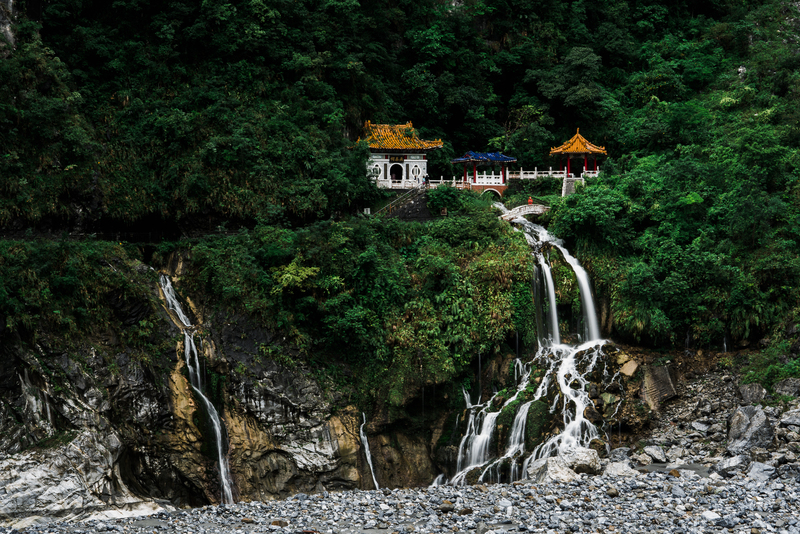 Head there in the morning (it’s a three-hour windy road drive with beautiful sea views along the way), and then spend the day exploring Taroko National Gorge and enjoying the local indigenous cuisine. While there are tour buses that come here and make key stops to places like the Eternal Spring Shrine, Swallow Grotto, Qingshui Cliff and more, we much prefer going on our own so we can take our time. There are endless areas to discover here, from secret hot springs to suspension bridges and hidden hiking trails. The adventurous will want to hire a local guide who can take you on a river tracing tour to secret caves and hot springs away from the crowds. In this area, you can stay overnight at the beautiful Silks Place Hotel, which is right next to Xiangde Temple. The next day, either continue on for more hiking or head back towards Taipei. En route, stop at the Kavalan Whisky Distillery before dining at the Red Lantern Restaurant in the Silks Place Yilan Hotel. The cherry duck nigiri was perhaps our entire group’s top bite of the trip. Both the drive and the bus route through Taichung City on your way to Sun Moon Lake. Because of some key attractions in and around Taichung City, we recommend hiring a driver for the two-hour trip to Taichung so you can stop in these places on your way (Journy can help arrange a driver for a multi-day trip to this area who will take you back to Taipei). In Taichung, you’ll want to make time for a detour to Yu Zi Xiang Gu Guan 魚之鄉谷關—a caviar farm and sturgeon restaurant. The owner learned how to raise sturgeon in Russia and brought the technique to Taichung. Because of the quality of the water in this area, which flows straight from the mountains, the taste of the sturgeon and caviar from this area is very delicate and sweet. Local chefs have taken notice, and Michelin-starred spots are making use of these fine local ingredients. From here, you can also visit Weightstone Winery, a family-owned operation that’s been dedicated to agriculture and farming—with some beautiful crisp whites, roses and sparkling wines made out of local grape varietals. While it may seem odd to find grape-growing in a tropical location like Taiwan, the elevation and limestone soils create a climate that’s perfect for developing bright acidity with tropical fruit notes that show beautifully in the wine. Heading back to Taichung City, you’ll want to take notice of the beautifully designed National Taichung Theater, designed by Pritzker Prize-winning Japanese architect Toyo Ito. Then, head to the Rainbow Grandpa Village, where a 93-year-old grandpa saved his village from demolition by waking up at 3AM every day to paint colorful images and decorations on all the buildings. It officially became designated a cultural area, and today hosts visitors hoping to take a selfie with Rainbow Grandpa himself. From Taichung, it’s an hour drive to Sun Moon Lake, where there are a number of hotels located right along the lake with stunning views. The Lalu Hotel offers suites and villas (it’s also the priciest in the area), while the Fleur de Chine has thermal baths and rooftop dining with lake views. Sun Moon Lake hotel is a classic and affordable option, also located right on the lake. Take the Sun Moon Lake Ropeway, which extends across two mountains, visit Wen Wu Temple and, of course, take a boat ride on the lake itself. 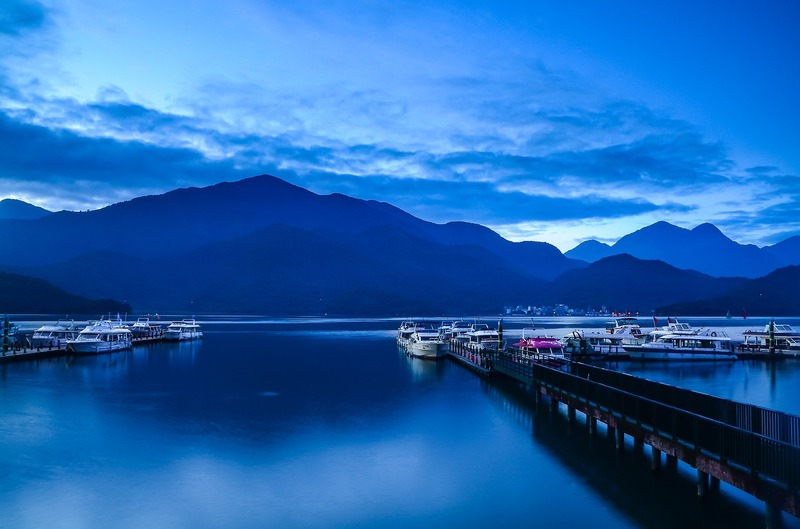 From Sun Moon Lake, you can also continue on to Alishan National Scenic Area—a two and a half-hour drive south. This area includes beautiful mountains, aboriginal villages known for tea production and excellent hiking trails. Be sure to take the Alishan Forest Railway for a scenic ride. The easiest way to get to Southern Taiwan is to take the high-speed train two and a half hours from Taipei to Tainan City. Tainan City is all about eating, and you’ll want to get a local guide to take you to the best spots. Ask any local in Taipei, and they’ll tell you that the best street food is actually in the south in Tainan City. 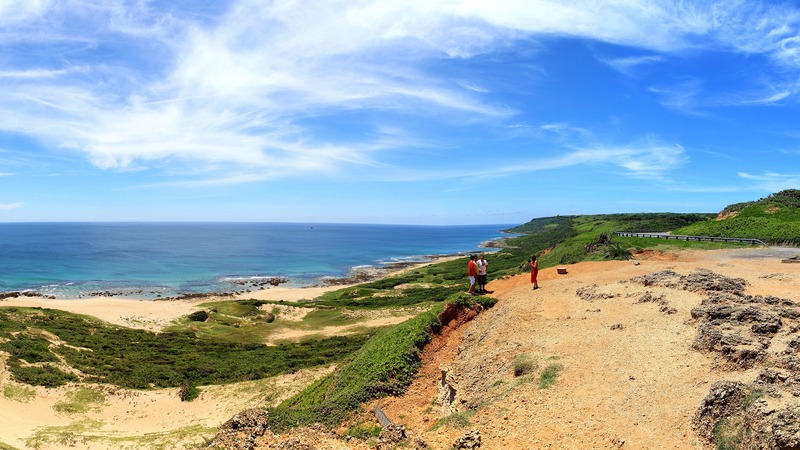 From Tainan, the fastest way to get to Kenting National Park is a two-hour drive. It’s well worth the trek as the area is full of white-sand beaches, coral reefs, parks and, of course, street stalls along Kenting Street with amazing seafood. If you’re traveling with kids, be sure to take them to the National Museum of Marine Biology and Aquarium. Ready to plan your trip to Taiwan? Schedule a free consultation call.